This is the fourth buy signal issued over the last year and the others were all superficially fairly successful but looking at them closely I doubt that these signals mean anything significant. The conventional wisdom is that you should see a major reversal up within a week or so of the signal, but that isn't the case in recent months, and I suspect that it is rarely the case. The way that the signal is generated makes that inherently unlikely because if it is anything, the Vix Buy Signal is a signal that after a significant dip, the reversal has already started. 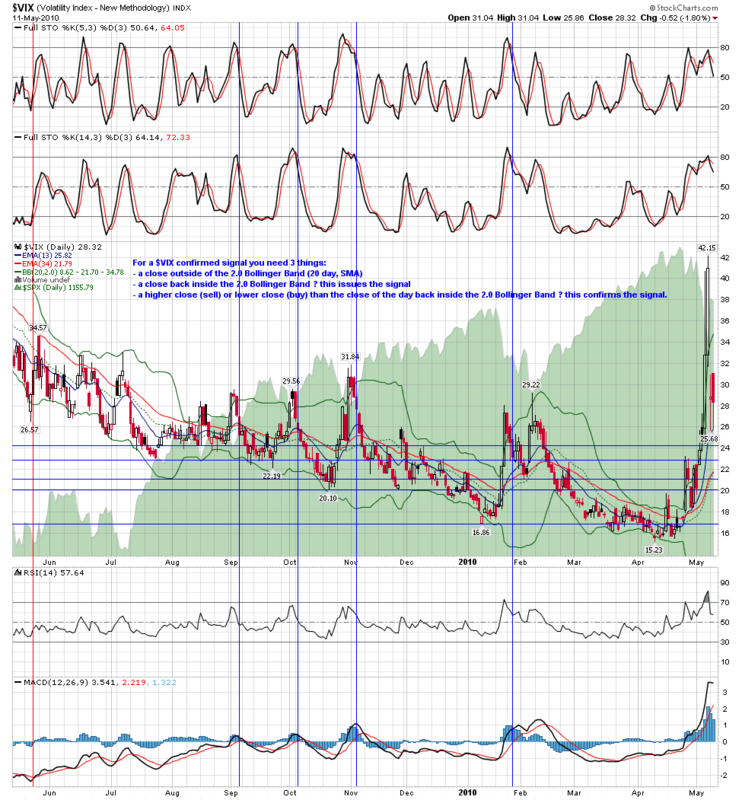 The way that the signal is generated is that after the Vix breaks up out of the bollinger band for whatever period, when it then closes back within the bollinger band, a second subsequent lower close will give the buy signal. 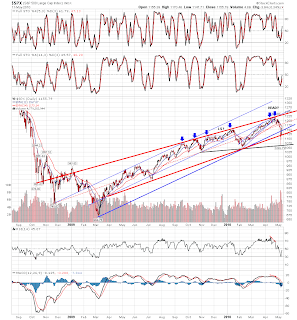 In effect, after a significant correction, two consecutive days of rally will issue the buy signal. Given that reversals have been short and sharp affairs over the last year, you would expect that any such signals would mark the beginning of a significant rally, and the signals in September, October and November all did that, as did the failed buy signal in August for that matter. What appears to have been the only confirmed Vix Sell Signal in May also immediately preceded a sharp rally, and the failed Vix Sell Signal in January was shortly before the major top then. The Vix Buy Signal in late January marked a reversal that lasted a couple of days, but was then followed by two significant further falls before the bottom ten days later. 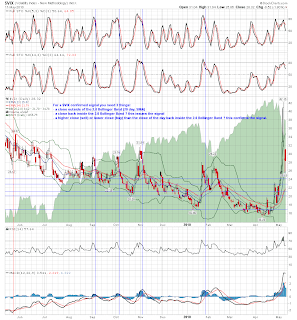 In effect all of these signals tell us that after a move significant enough to cause the Vix to trade outside the bollinger band, a significant reversal in the other direction is likely, and the buy or sell signal will tell you when it has most likely already started. In a market that is strongly trending up though, the best signal that a sharp rally may be coming is that any significant dip has taken place. I can't see that this signal is adding anything useful to that. Now that looks more significant. Once we have broken back above them, both broken trendlines are support again until rebroken, and while we have a strong sign of potential weakness, there are no strong sell signals unless we trade back below them, and stay underneath. The potential head and shoulder pattern is still very much in play, but given that the left shoulder took over three months to form, if a right shoulder forms then we should expect that it may take several weeks to do so. If we do trade in the 1120 - 1190ish range for the next few weeks then it may be significant, but like any head and shoulders pattern, until it is fully formed and the neckline broken it is just lines on a chart. We need to see some closes below the main SPX support trendline to provide some evidence that the bears are still in this game. If it is broken again, and then acts as effective resistance, we would be seeing a significant development. The high yesterday just under 1169 ES was potentially significant. I'm expecting that yesterday's high should remain unbroken today and that we'll see a break back through yesterdays low at 1140 ES. 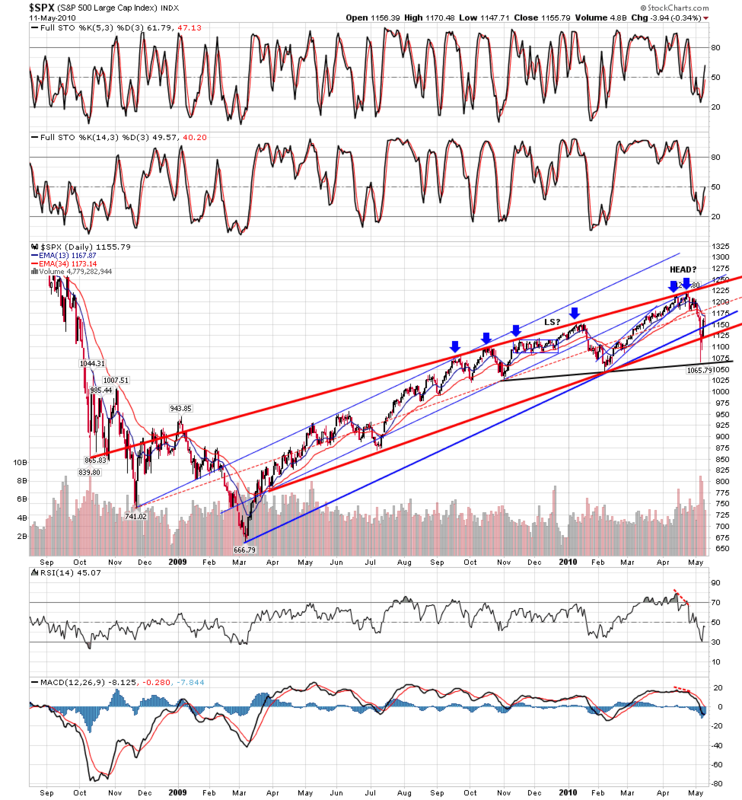 If we do see that and a close below it, then the bear case is still very much in play here. If we don't see that this week, then I'll be doubtful about it. 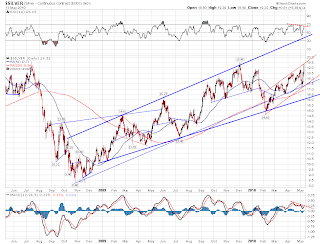 I'm concerned about the EURUSD action as well. After last week's low, a floor seems to have been established just above 1.26. 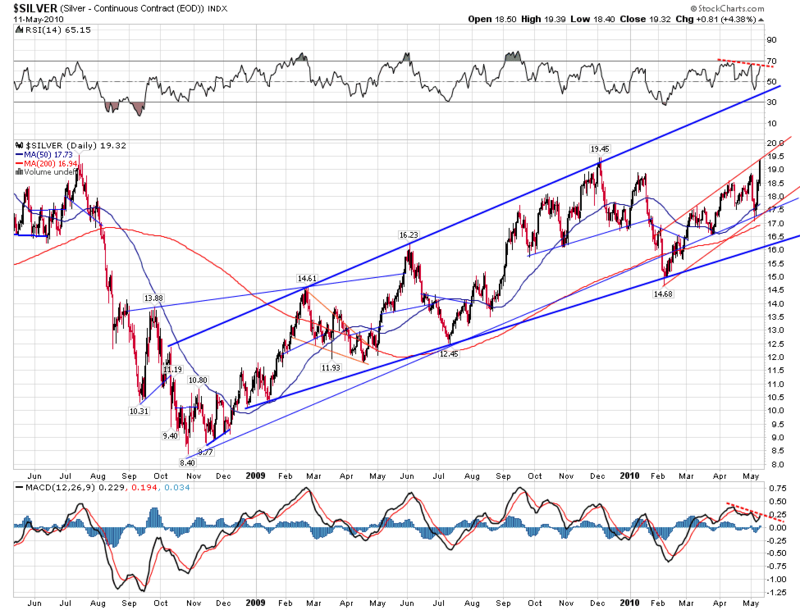 That needs to be broken, or there is a risk that a significant EURUSD relief rally may be starting. Such a rally has invariably been accompanied by a rally in equities in recent months, and watching the way that equities have continued to outperform EURUSD this week, that is something to watch.